A fable inspired by the true story of how the people of Puerto Rico saved “Sister Island” Vieques from environmental destruction. This wonderful story, penned by talented new writer Rafael Landrón and gorgeously illustrated by award winning artist María Antonia Ordóñez, is a timeless tale of courage, solidarity, love and justice set in the beautiful waters of the Caribbean. 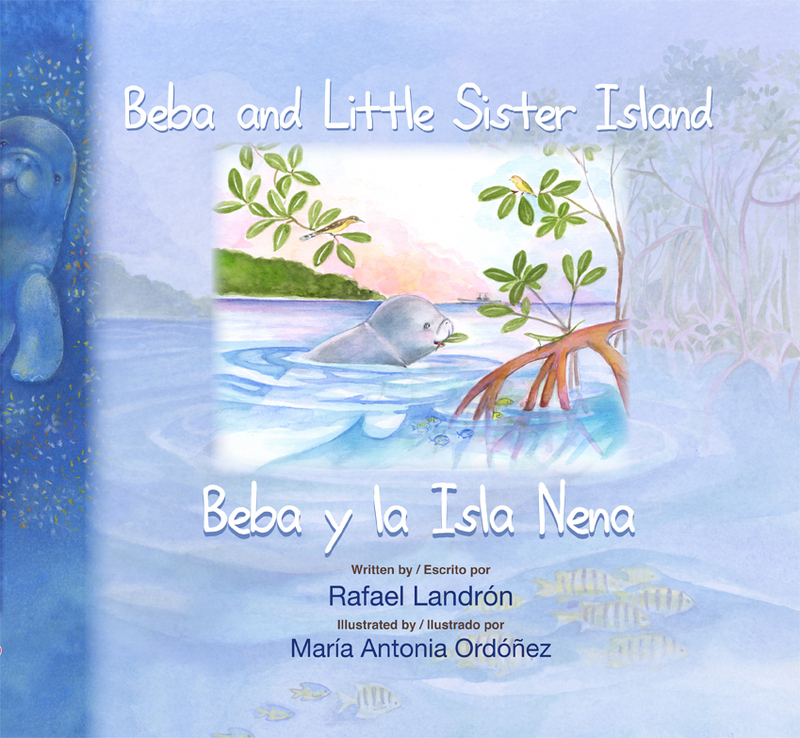 Beba, a young manatee, is summoned by her friends to travel and discover the origin of the thunderous noise they keep hearing coming from a nearby beach. She swims to the site, and discovers gigantic ships destroying their little island! What can a manatee and a group of animals do to stop the destruction? Plenty! As you will see when you read Beba and Little Sister Island. The adventure of Beba was inspired by the true story of the people of Puerto Rico who through coordinated efforts and non-violent actions, forced the Unites States Navy to leave the island of Vieques after 60 years of bombings, target practice, and military maneuvers.